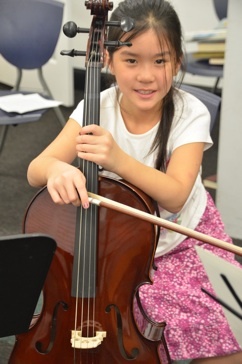 Students of all ages may schedule weekly or bi-weekly lessons for 30, 45 or 60 minutes. Lessons can be scheduled for Weekdays from 2pm to 6pm, or Saturdays & Sundays from 9am to 6pm. Our music teachers are professional musicians, all of whom hold degrees in music performance from reputable conservatories in America and Europe. Any students aged three and up are welcome to sign up for private instruction. Lessons are typically given once per week. We offer 30 minute, 45 minute, or 60 minute sessions. 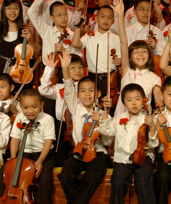 In our lessons, we emphasize performance, reading music, theory, and the development of good practicing habits. All students are expected to practice from week to week, and work from a technique book, a scale book, and a book of pieces. Our teachers complement traditional training with modern pedagogical approaches. For example, our violin teachers combine various aspects of the Suzuki method with teachings of the Russian violin schools. All students participate in Music Juries each year and progress through the graded syllabus of the Florentine Exam’s ten levels. We instill our students with healthy practicing habits, including scales and arpeggios, etudes, short pieces and concerti. All students are encouraged and prepared to perform their polished works on stage at our yearly Winter and Graduation Concerts. It is important that all our students can share their music-making with friends, family and teachers! Through private lessons, students can prepare for the Florentine Music Juries, the ABRSM Theory & Practical tests, NYSSMA exams, and the Carnegie Hall Royal Conservatory Achievement exams. Contact us to register for any of these exams. Florentine is an official testing site for the Royal School of Music, and a founding school of the Carnegie Hall Royal Conservatory Achievement Program. For specific program/class information, please email, call, or fill out our online Inquiry Form for Children’s Programs or for Adult Programs.